The Moses Lake plant will manufacture carbon fibre for use in the new BMW i vehicles scheduled for launch in 2013. BMW and SGL will invest approximately US$100 million in the Moses Lake plant and create 80 new local jobs by 2013. BMW and SGL say the decision to build the carbon fibre plant in Moses Lake was based primarily on the availability of clean, renewable hydropower and competitive energy costs in the state of Washington. The Moses Lake plant covers 60 acres of land with the option to purchase additional land for future growth. The plant will initially run two carbon fibre lines, each with an annual capacity of 1500 tonnes. The Moses Lake carbon fibre will be processed into carbon fibre fabrics at the joint venture's second site in Wackersdorf, Germany. Carbon fibre reinforced plastic (CFRP) parts will be produced from these fabrics at the BMW plant in Landshut, Germany. The new BMW i3 will be manufactured from these parts at the BMW plant in Leipzig, Germany. The first vehicle to use the carbon fibre manufactured in Moses Lake will be the BMW i3 (previously known as the Megacity Vehicle), an all-electric car designed for urban areas. The BMW i3 will be the first BMW vehicle to feature the company's LifeDrive architecture. The Life module part of the design is the passenger compartment made from high-strength, lightweight CFRP. SGL Carbon is acquiring BMW Group's 49% equity investment in the companies’ joint ventures. 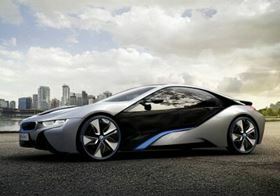 BMW Group has reportedly chosen SGL Carbon to supply carbon fibers to the BMW iNEXT. Carbon company SGL Group has sold its 51% shareholding in the SGL Kümpers joint venture.